Portraits: British 18th C 1 comments Could this be a portrait by Sir Godfrey Kneller of George Granville, 1st Lord Lansdowne (1666–1735)? 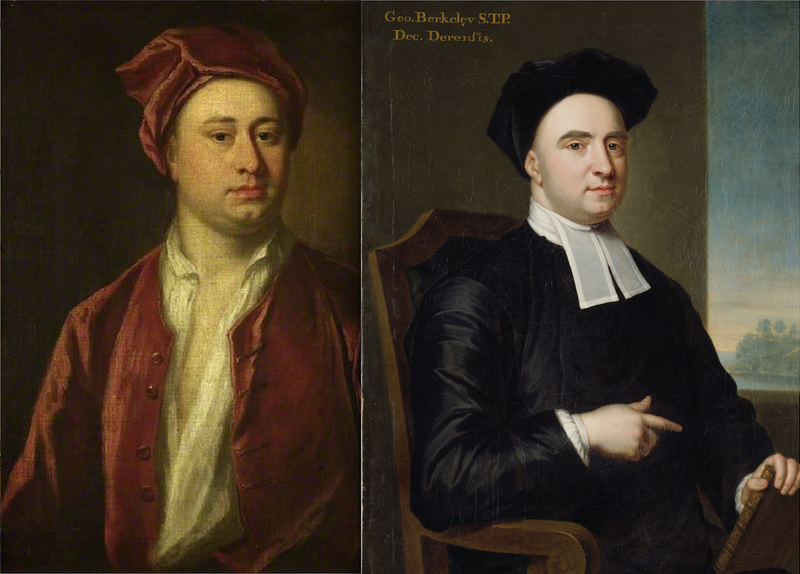 I previously submitted a suggestion to Art Detective that this painting might be of Bishop George Berkeley, a friend of and sitter to John Smibert (see attached composite). However, I have since reconsidered this possibility and would like to suggest instead that this is a portrait by Sir Godfrey Kneller of George Granville, 1st Lord Lansdowne (1666–1735). The attached composite image depicts four engravings of Granville, together with the image under consideration. The first of the engravings decorates the start of Cooke's 1797 edition of 'The Poetical Works of the Right Hon, Lord Lansdowne...'. 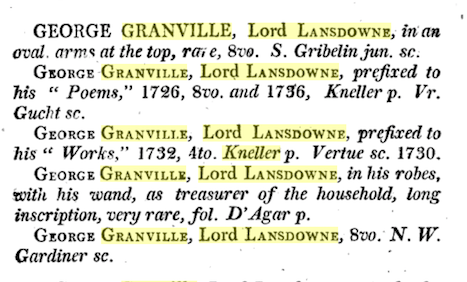 On page 29 of 'A Description of the Villa of Horace Walpole ... at Strawberry Hill, near Twickenham' (1774), there is an entry for a portrait of George Granville, Lord Lansdow [sic], in red, together with a print of the same subject by George Vertue, after Godfrey Kneller. I am obviously aware of the absence of the hand that is featured in three of the engravings, but this limb might have been added by the engravers to give more interest to the subject. Otherwise, the open shirt, the jacket, the hat and the general facial expression all seem to echo the clothing worn by and the attitude of the man in this Fitzwilliam Museum portrait. 1. The painting and the 'oval engraving' relate to each other in 'facial structure'. They appear to be the same man, Lonsdown. 3. The 3 square engravings match the painting in 'general pose and attire', with the exception of the missing hand. They do not prove to be the 'same man' as in the painting. Conclusion: Through the engravings a good case can be made that the 'Unknown Gent' is George Granville. And being that the painting is a 'fine example of realism' it is possibly the work of Godfrey Kneller or a competing artist who may have copied Kneller's original.